NO.1 brand is currently the #1 in terms of quantity released smartwatches. It does not end because the company will soon bring to market a new model called NO.1 D6 SmartWatch. Earlier model NO.1 D5 (on Gearbest for $108.99) was a huge success, given the amount of content on the Internet and comments in online shops. Is NO.1 D6 the same kind of success? We guess we will see as the technical file specification. At the moment, he has released several photos. 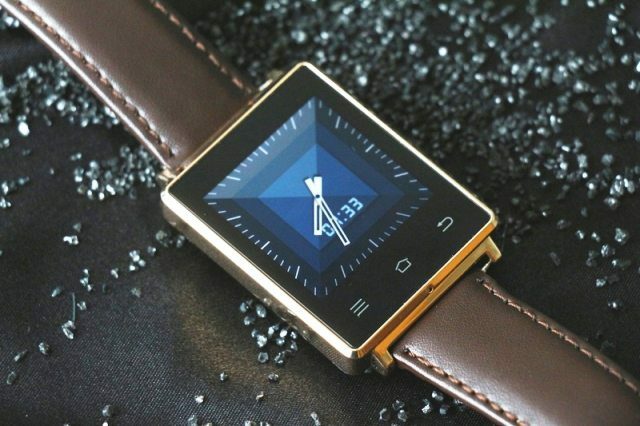 As you can see in the pictures D6 Smartwatch has a sizable screen in the shape of a rectangle with touch controls known from smartphones and tablets. NO.1 and market smartwatches have become accustomed us to a round dial watch. NO.1 D6 runs on Android 5.1. It also has a heart rate monitor and easy-pin charging. At the moment is little information. We look forward to specification, If only we have new news will give you immediately know. Below are a few pictures.